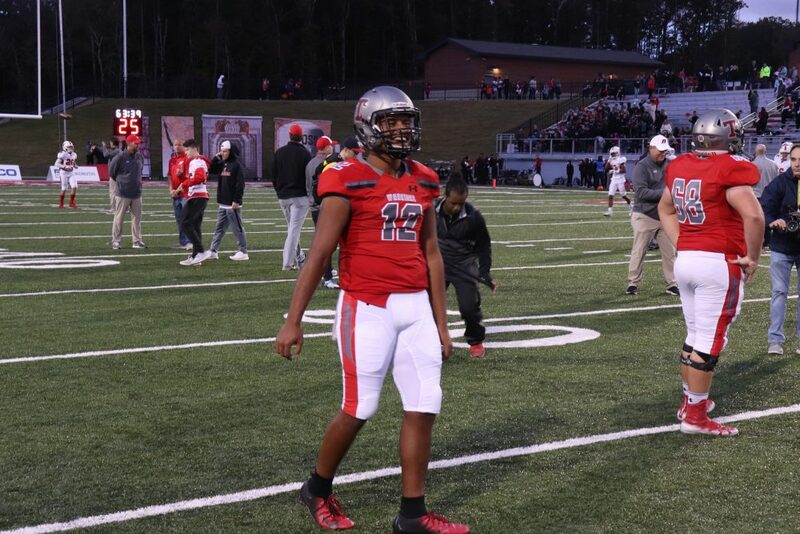 Taulia Tagovailoa and Amari Kight will compete in the AHSAA 7-A state championship game on Wednesday, when the Thompson Warriors take on the Central-Phenix City Red Devils. Tagovailoa and Kight are verbally committed to the Crimson Tide. Tagovailoa, the younger brother of Tua Tagovailoa, has put together some great performances this season in route to leading his team to the state championship game. He has completed 261 passes for 3684 yards and 35 touchdowns. Kight has protected Tagovailoa’s blind side this season as one of the starting offensive tackles for the Warriors. He has also helped pave the way for Thompson’s running back, Shadrick Byrd, who has really come into his own late in the season. A win tonight would give Thompson its first football state championship in 36 years. They won their first and only championship in 1982. This is the first time they ever played Central-Phenix City. Central-Phenix City has their own Alabama target. 2020 wide receiver, Eddie Williams, is a part of the Red Devil’s roster. RELATED: Eddie Williams react to Alabama offer. Kickoff for the 7-A State championship game is set for 7 p.m. central time. *Live stream information will be added as info becomes available.